Set to debut next year. This week we reported on BMW’s plans to give its i3 electric car a much-needed facelift next year, but apart from a few cosmetic changes and an increased range, there was nothing that suggested it would revolutionize the electric car market as we know it. However, we’ve since learned courtesy of Autocar that a new S variant will be joining the i3 line-up next year which potentially has the credentials to be the first proper electric hot hatchback. The report suggests that the BMW i3S will offer improved performance and “a more sporting character,” which means it should out-handle the standard i3 and its heavier rival, the Chevy Bolt. The i3S will feature an updated version of the current model’s rear-mounted, 168-hp electric motor, although it isn’t expected to be drastically quicker than the i3’s still-respectable 7.3 second 0-62 mph time. Even so, any performance improvements will put the i3S in-line with established hot hatchbacks such as the Ford Fiesta ST. BMW has yet to disclose exactly how much range we can expect from the souped-up i3S, but a source revealed it will be the “new i3 range-topper." On a full charge, the current i3 can last for 114 miles (180 if you use a range extender), while next year’s model will apparently see an increase of less than 50 percent, which still restricts it to under 200 miles – how much the i3S can improve on this remains to be seen. 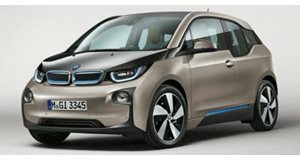 Details on the i3S are scarce other than that, but the electric hot hatch is being planned for launch at the 2017 Frankfurt motor show in September next year alongside the new i3 facelift range, which will feature redesigned bumpers, headlights and interior along with new color choices and a better range.